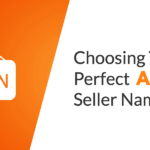 Home » Amazon Seller Tools » What is the Best Accounting Software for Amazon FBA Sellers? Whether you’re an experienced or brand new Amazon Seller, you’ll need some sort of bookkeeping & accounting system for your business. Having a good accounting system in place helps you scale your business since it allows you to manage your cash flow better, minimize expenses, etc. Choosing the best accounting software can be challenging though, especially if accounting isn’t your specialty. Read on to learn more and see what you as an Amazon seller should be looking for in an accounting software solution. Track inventory: You may need something that can track and manage your inventory. Keep in mind that many sellers will use a dedicated inventory management software along with their accounting software. Track expenses: This is an obvious one. You will want an easy way to track the cost of goods sold, operating expenses, and other expenses associated with your business. Quickbooks is an Industry leader: QuickBooks Online has been a leader in the accounting software space for a long time – and for good reason. Quickbooks is one of the best accounting programs you can get. It’s no wonder why so many accountants and businesses use it. QuickBooks works for any size Amazon Business: Quickbooks works great for any type of business, big or small, including an Amazon business. You can use it to do simple invoicing, expense tracking, income tracking, mileage tracking, etc. You can also use QuickBooks to do more advanced financial reports. Accountants and CPAs know Quickbooks: Because Quickbooks is an industry leader, most accountants are familiar with QuickBooks online. My sister is a CPA so she knows the industry years ago she recommended I use Quickbooks online because all the accountants use it and know it. QuickBooks is cloud-based: QuickBooks Online is a fantastic online accounting software program that stores all your financial data in the cloud. This offers very conveniently on the go work, along with the ability for other users to log in from different computers to contribute. You can also set up an account for your CPA or Accountant to login so they can view your business’ data. Quickbooks is relatively easy to learn: If you are someone technically savvy, QuickBooks Online is also fairly easy to learn and get up and running. However, if you are brand new to bookkeeping and accounting, it may still seem daunting – it is, after all, a full-fledged, very robust accounting software. It is capable of handling the finances of businesses of nearly any size, and thus has a lot of features. Quickbooks has many 3rd party integrations: One benefit of the QuickBooks Online is that there are many other Integrations with other Amazon FBA software. For example, if you wanted to use a dedicated Inventory management or Multi-channel selling software, the chances of it integrating with QuickBooks are pretty decent. Quickbooks does have inventory management, but it is basic: If I recall correctly, QuickBooks Online didn’t always have inventory management capabilities. That’s one area where the newcomer, Xero, used to beat them. However, QuickBooks now has inventory management capabilities. However, it is only basic Inventory management. So one of the only drawbacks to QuickBooks Online for Amazon sellers and e-commerce businesses is the inventory management capabilities. For example, QuickBooks online doesn’t allow for tracking Bill of materials (BOM) & and creating kits /builds. So if you need something more robust to handle your FBA inventory, you may want to look into getting a dedicated Inventory management solution that also integrates with QuickBooks. QuickBooks desktop is the standalone desktop version of the QuickBooks software lineup. QuickBooks desktop was the original QuickBooks until they created the QuickBooks Online versions. You would think that they are very similar – and they are. But they are actually pretty different in many ways, especially in terms of the user interface. It seems like most people these days tend to opt for a cloud-based software solution but there are still many sellers that would rather use the QuickBooks desktop version. Whether its because they enjoy the added security of not having their financial data in the cloud, or because they want more advanced features like inventory management – QuickBooks desktop is still a fairly popular choice. Offers better inventory management for Amazon Sellers: The better Inventory management capabilities of QuickBooks desktop may attract some Amazon FBA sellers. This is especially the case for those who need to create kits and track the bill of materials or BOM. 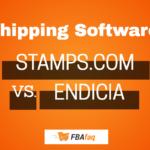 However, most FBA sellers use QuickBooks and a separate solution to track inventory. No monthly fee: Another benefit to QuickBooks desktop is that you don’t need to pay a monthly fee like you would need to pay with the QuickBooks Online. Very comparable to QuickBooks Online: Xero, just like QuickBooks Online, is a very popular accounting software. Xero can be used for any type of business, including an Amazon FBA business. Xero is kind of the new kid on the block, but over the years has really grown into its own. It is now very much on par with QuickBooks online. Good User Interface: Xero has been known for their simple user interface and their emphasis on usability. However, I would argue that QuickBooks and Xero are pretty comparable from a design & usability standpoint. There are some things that are actually easier to do in QuickBooks over Xero, and vice versa. The benefit of Xero is it’s a pretty simple accounting software to use and get the hang of. Xero also seems a little more aggressive in their development and consistently adds new features. For example, they added inventory tracking abilities before QuickBooks Online. Great Selection of Add-ons: Another benefit of Xero for Amazon is their vast library of add-ons. 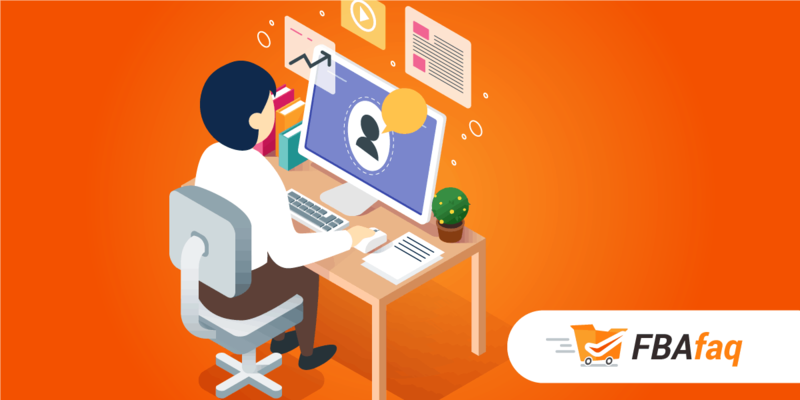 These integrations with other apps, such as A2X, Stitch labs, and more can really make your life easier as an Amazon seller. Since Xero and QuickBooks are the two industry leaders in accounting software, many Amazon FBA sellers will choose one of the two. I would say that both accounting software solutions are equally robust and can accomplish the same things. It ultimately just comes down to user preference. Those who want simplicity or smaller Amazon sellers may opt for GoDaddy bookkeeping, Excel or some other bookkeeping software Solution. This is completely fine, as you can always upgrade to QuickBooks or Xero when the need arises. If you are curious about the differences between Xero and QuickBooks, they mostly come down to the user interface and small functionality differences. I’d say overall though, they are both very comparable. The biggest difference may be that most Accountants have traditionally been more familiar with QuickBooks. However, with Xero becoming a main contender in recent years, that gap seems to be closing. And with Xero targeting accountants as apart of their marketing strategy, it seems more and more accountants are familiar and even recommending Xero (probably in part due to their affiliate /reseller program geared towards accountants). Both Xero and QuickBooks are comparable when it comes to add-ons, however, Xero beats QuickBooks slightly with 600+ Integrations. QuickBooks has 527, so that’s pretty close. In conclusion – go with what interface appeals to you. You can try both free trials to see which is right for you. I personally use QuickBooks because I am most familiar with it. Don’t be fooled – Excel is an extremely powerful tool used by many large organizations for complex data management. This is because Excel is incredibly versatile and customizable. It allows you to manipulate your data in many different ways. You can do very simple bookkeeping or create very advanced accounting and financial projections. The biggest drawback to excel is that you need to manually input your Amazon data or come up with systems (templates) where you can just dial it in. Excel also has a much higher learning curve if you want to do more advanced reporting, compared to fairly easy online accounting software like QuickBooks and Xero. 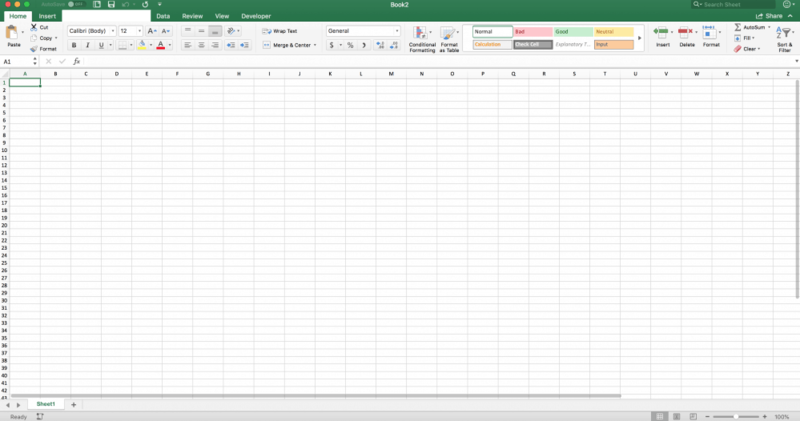 In Excel, you can do some really advanced data manipulation, more so than Google Docs. However, depending on what you’re trying to accomplish, Google Sheets has really come it to its own in recent years. It has become a platform you can build off from if you are technical – to the point of being even more flexible than excel in certain ways. The beauty and genius of Google sheets are the integrations with other apps and APIs. If you’re just starting an Amazon business or you just want to keep your accounting system simple, you probably are better off using something much more simple. Some sellers simply don’t have the need to use a full-fledged, robust accounting system. The following online accounting software programs have smaller learning curve and are cheaper than Xero / Quickbooks (some free), which is a plus. GoDaddy bookkeeping was the first accounting software app I personally used when I first started selling on Amazon, nearly a decade ago. Back then, it was called Outright, before GoDaddy acquired it. GoDaddy bookkeeping is a nice and simple accounting software that has a very cool Amazon integration. This makes it as easy as Excel in terms of tracking income and expenses, but it also has the added benefit of accounting automation with Amazon! This is a very cool feature that attracts many new Amazon sellers. However, as you grow, you may look into transitioning into Quickbooks or Xero. GoDaddy bookkeeping does allow you to track the cost of goods sold (COGS). However, note that GoDaddy bookkeeping only shows the total COGS not the item level COGS. Note: GoDaddy Bookkeeping will show you the total COGS amount on GoDaddy Bookkeeping’s Schedule C worksheet (and the “Your Spending” reports) based on the all expenditures you have categorized as COGS for the year. However, you may need to reduce your COGS amount for the tax forms, for things like unsold inventory. See Schedule C Part III to determine specific adjustments for COGS. Also keep in mind that you need an Amazon Pro Account (not an individual seller account) to run the Amazon import functionality. If you want simple accounting software or you just starting out, I would definitely recommend trying out GoDaddy Bookkeeping. However, if you are expecting to grow a lot in the near future or already have a growing business, I would suggest QuickBooks or Xero. Since QuickBooks online and Xero don’t have the best Inventory management, many Amazon sellers use dedicated Inventory management software alongside their accounting software. This can be a tremendous help, especially for those Amazon FBA sellers who have their inventory in multiple Amazon warehouses. A benefit of a dedicated inventory management software is that they often have integrations with QuickBooks and Xero. This is a really cool integration that essentially makes QuickBooks and Xero work MUCH better with Amazon – well, at least more automated. A2X will automatically import your Amazon transactions into Xero or QuickBooks. This allows you to save a lot of time with your accounting processes, and really streamlines the whole process. You can think of A2X, not as a standalone accounting software, but an extension for Quickbooks or Xero. A2X makes these two robust accounting solutions more compatible with an Amazon business. The only drawback is there is a monthly fee associated with it – between 19-139$ per month. Conclusion: Which accounting software is best for you? It goes without saying that you should speak with a CPA or tax lawyer to help you sort through the complexities of your Amazon business. They may also be able to help you choose the right accounting software for your Amazon business. Keep in mind though, that many accountants don’t really know that much about Amazon businesses, so try to seek one out that has a good understanding of Amazon. 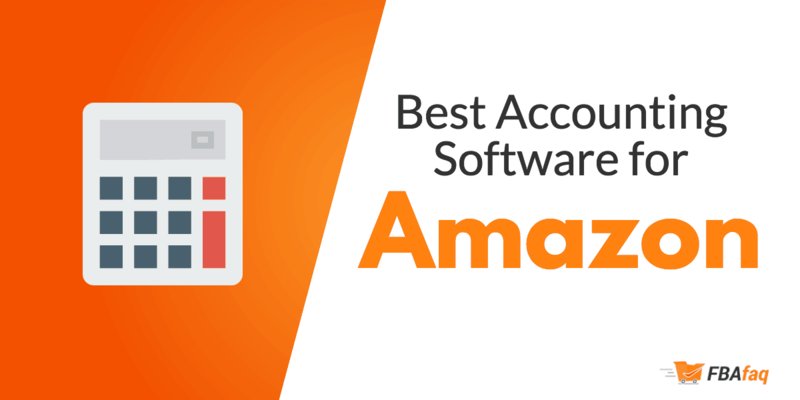 Choosing the best accounting software for your Amazon business really comes down to your preferences and needs. New Sellers: Most sellers that are just beginning will probably feel most at home with using something like GoDaddy bookkeeping, Excel or Google Sheets. GoDaddy Bookkeeping is an excellent solution that automates the data entry because it connects directly to your Amazon account. I personally started out with Godaddy bookkeeping many years ago when I first started selling on Amazon. I really liked it and I just upgraded to QuickBooks when I felt it was time. Established Sellers: Sellers that want more robust reporting and functionality out of their accounting software would be happy with Xero or QuickBooks, with possible 3rd party add-ons. Between Quickbooks and Xero, honestly, you could go either way. However, I like Quickbooks because most accountants are more familiar with Quickbooks. Also, there are definitely some things that Quickbooks can handle better than Xero. I also highly recommend using 3rd party add-ons to extend the functionality and improve the compatibility for FBA Businesses. this is the best article I read on this topic. Thank you so much for your help. Thanks Kumar for the feedback! There’s definitely a lot out there. It can take some time sifting through all the different accounting tools & integrations. I’m glad it helped shed some light on choosing the right platform for you! If you choose any of the options, I’d love to hear which one you ended up choosing/ liking the best. Thanks Jeff! Have you taken a look at taxomate.com? Seems to be a cheaper and better version of a2x.com. Hey John, no I haven’t seen that yet, it looks pretty good. Have you tried it out? Thanks for the recommendation, I’ll have to look into taxomate more! Is there any accounting app that has direct integration with Amazon, ebay walmart choppy etc like godaddy bookkeeping? A2X and other 3rd part integration are so overpriced for a simple connection we have to pay over $500 just for one marketplace. This just doesn’t make sense. We use godaddy bookkeeping for over 5 years and works good but we ned a more sophisticated software. We haven’t found any that has direct integration. I must have missed your comment, sorry for the delayed response! Yeah when you have a lot to connect to, especially if there are APIs / marketplaces that aren’t supported, if they don’t offer direct connections, sometimes you basically have to pay their programmers to code it to connect to the API. Have you looked into any of the automation platforms like Zapier? There are others similar to zapier that offer more customized connections. Hi Jeff, Thank you for the informative article. Does GoDaddy use accrual accounting or cash-based accounting method? Hi Eric, Godaddy Bookkeeping uses Cash-based accounting method.